NGC 1073 is a barred spiral galaxy in the constellation Cetus. It probably has an H II nucleus. NGC 1073 is about 55 million light years from Earth. NGC 1073 is about 80,000 light years across. 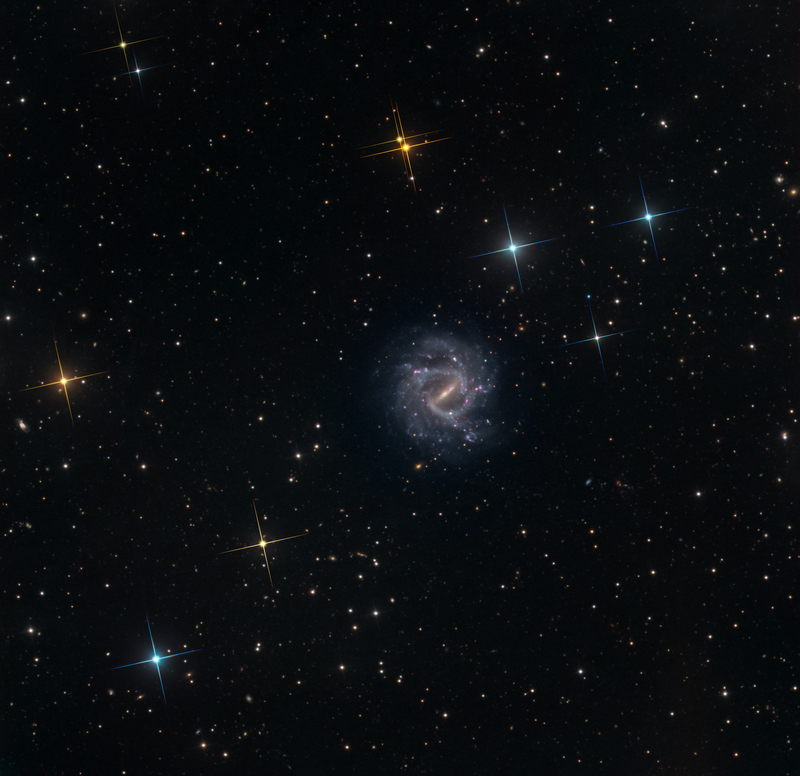 NGC 1073 can be viewed with a mid-sized telescope and is found in the Cetus constellation, also called the Sea Monster. NGC 1073 is a barred spiral galaxy like the Milky Way; unlike the Milky Way, however, NGC 1073 does not have well formed symmetrical arms and the center bar is larger.